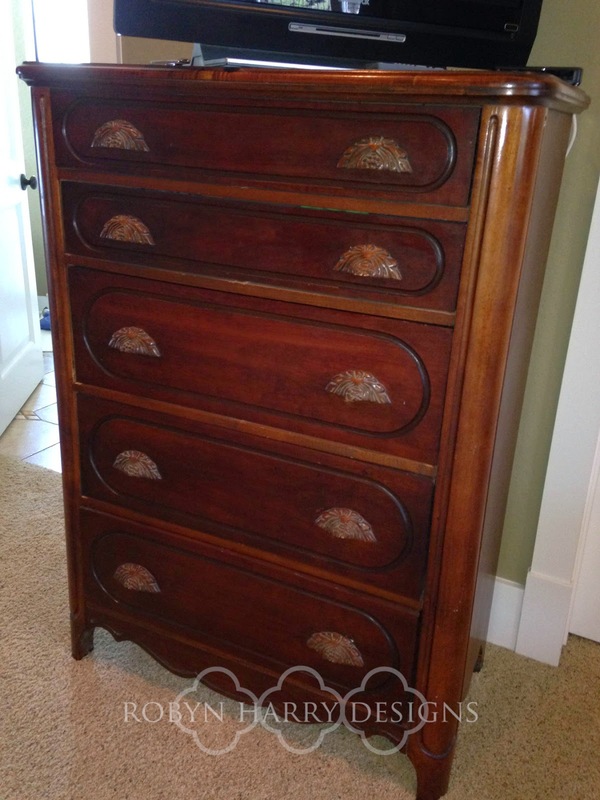 robyn's reverie: Facelift Friday | A chest of drawers gets a seaside feel. 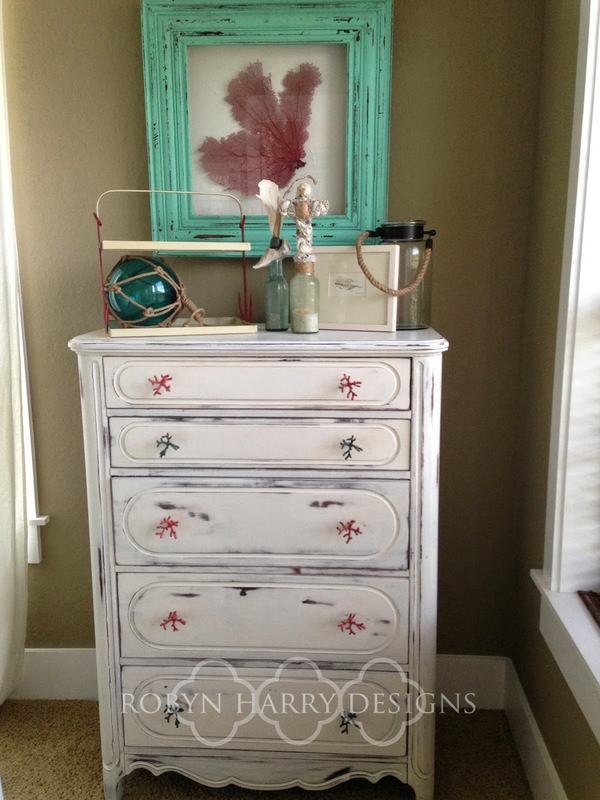 Facelift Friday | A chest of drawers gets a seaside feel. Happy Friday, friends! Today's facelift is super short, but extra sweet. This was one of my first custom pieces and I thoroughly enjoyed it. I received an email from a client who had been referred by another local business. 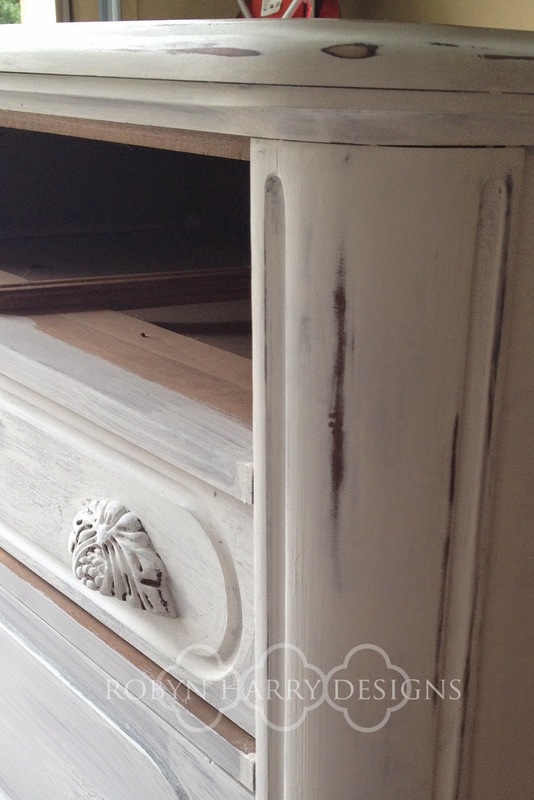 She had this gorgeous chest of drawers that she wanted painted white and distressed. 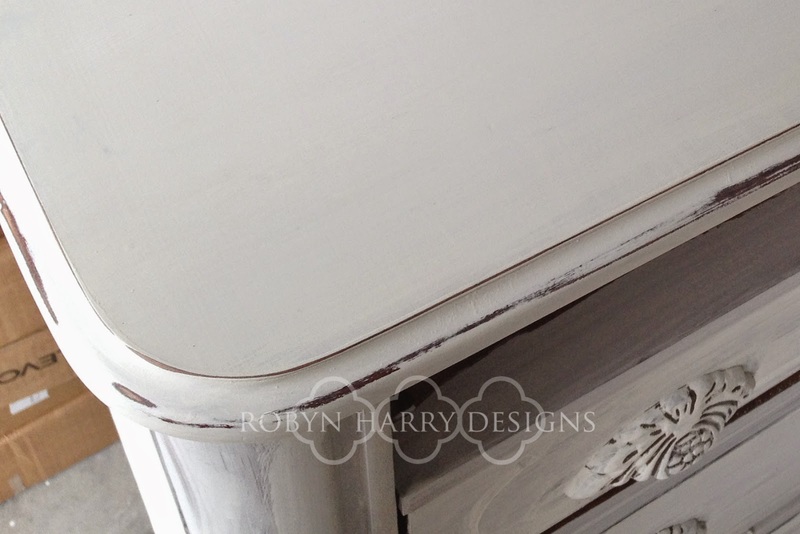 I used Annie Sloan Pure White and Miss Mustard Seed's Furniture Wax. I actually prefer Miss Mustard Seed's milk paint, but my client had a bed she wanted to match and it was a PURE white. Miss Mustard Seed's lightest white is still a bit of a cream color and I wanted the dresser to match perfectly. This chest of drawers is quality construction and solid wood. I really grew to appreciate the amazing details as I painted. I think the white paint with the distressing really highlights the fine detailing that is otherwise sort of lost. The apron was my absolute favorite part! 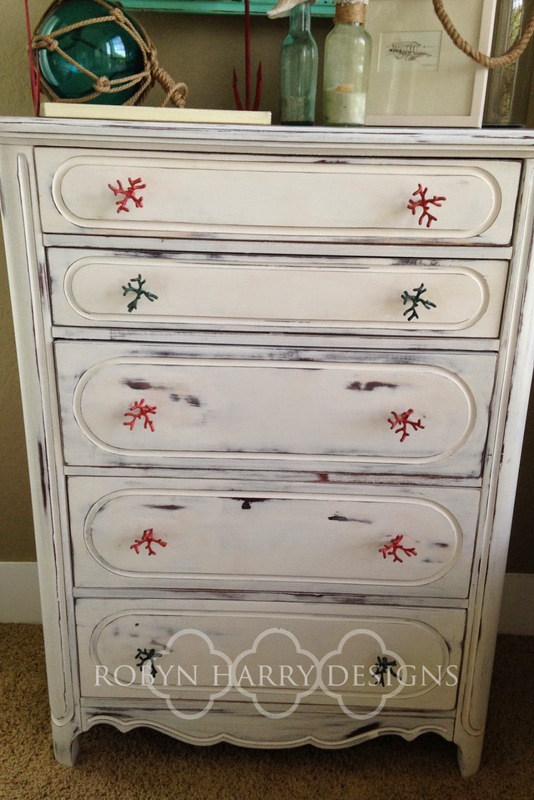 My client lives on the beach and this dresser was destined for her guest room. She let me know she had coral drawer pulls she wanted to use, so I removed the original pulls. She was kind enough to send me these pictures after it was all set up with the custom hardware and decorative accents. I just love how it all turned out! And I must say, she has an excellent sense of style! !